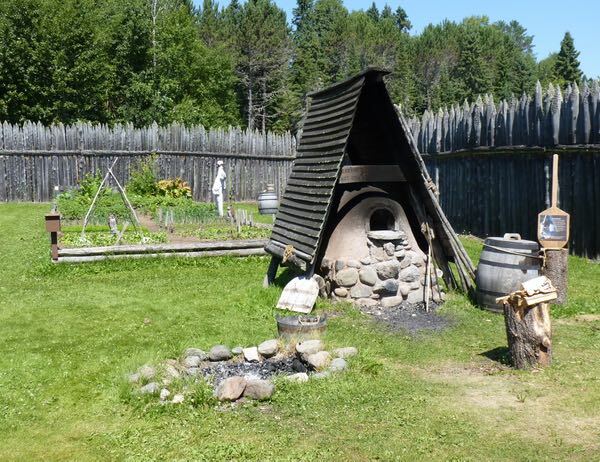 Grand Portage National Monument featured a reconstructed stockade that included a great hall for dining and business, a kitchen house, warehouse, and a lookout tower. 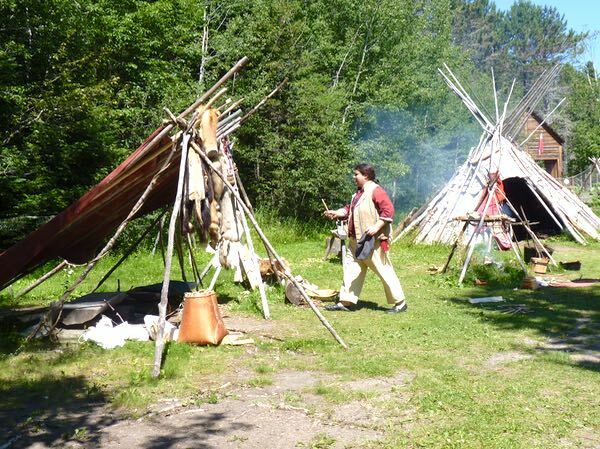 Outside the palisade was a sample Ojibwe village with birch bark tents. 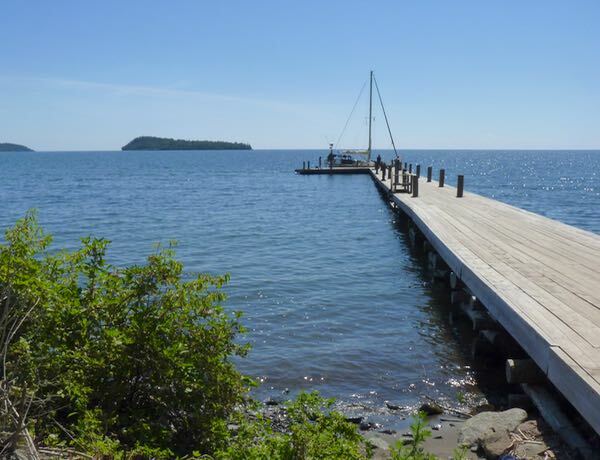 On the lakeside, was a pier extending far into the water. The Pigeon River flows along the fur trading trail known as the Grand Portage. There were five waterfalls and rapids on the river interrupting passage by water; hence, the need for a trail. The route was originally used by the Ojibwe natives to reach what is now called the Boundery Waters. It was an 8 1/2 miles trek to the next outpost at Fort Charlotte. 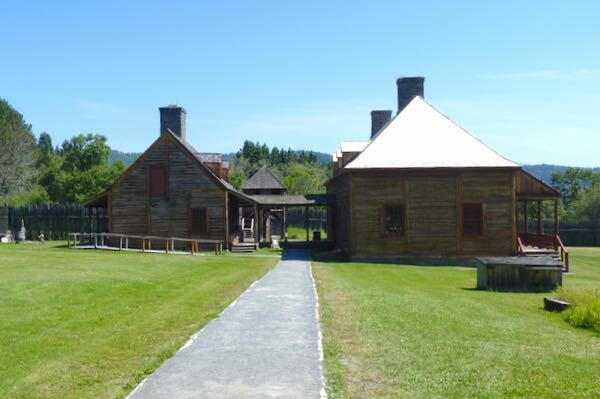 During the summer, they wet deep into western Canada to fetch pelts, and at the end of the season a rendezvous was held at the stockade to barter and trade. 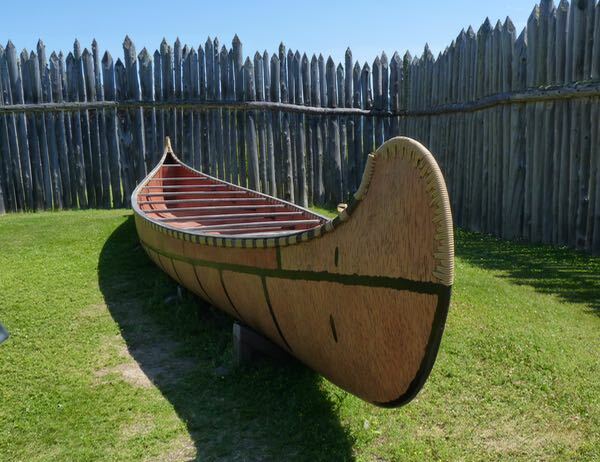 Very large Montreal canoes loaded with goods made their way across the Great Lakes, to and from the North West Company outpost. Those working this route were known as Voyageurs. 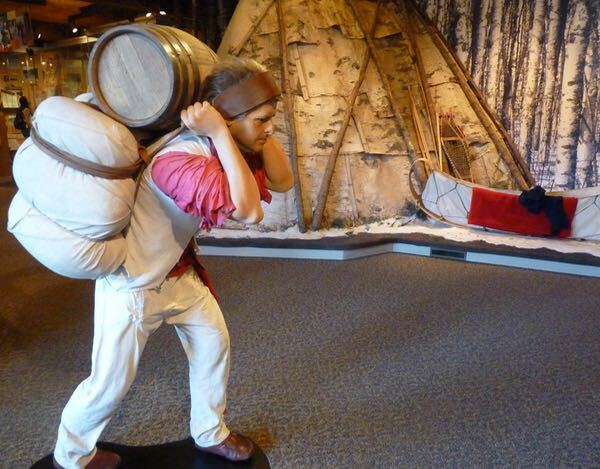 For over a century the fur trade was profitable for the French, British, and natives. They also had a demonstration on how to build a birch bark canoe. 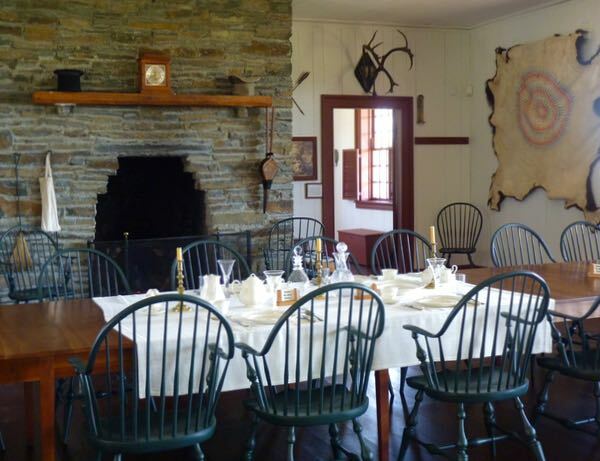 Seeing the outpost, period dressed volunteers and learning about the history was interesting. I wasn’t feeling well when I traveled along Lake Superior and missed so much. I’d like to go back and do it again. Possibly worth the trip if you’re going that way.